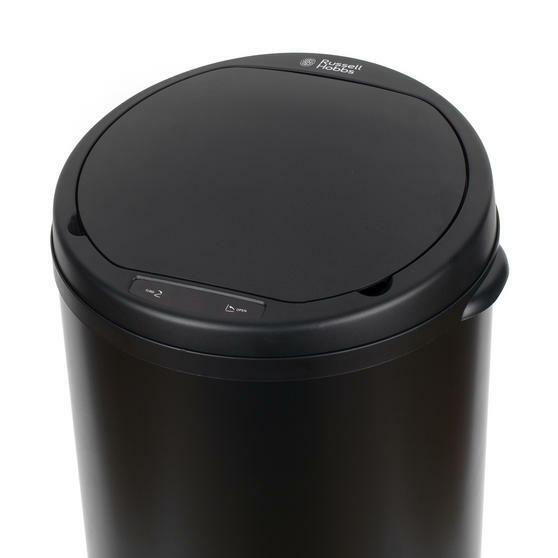 Dispose of your rubbish quickly and hygienically with this fantastic Russell Hobbs kitchen bin which opens using a sensor so you will not have to touch anything to use it. 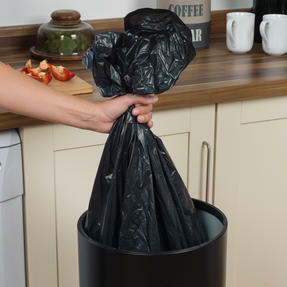 With a 50 litre capacity it has plenty of space to fill a large bin bag and when it needs emptying the lid can be easily removed. 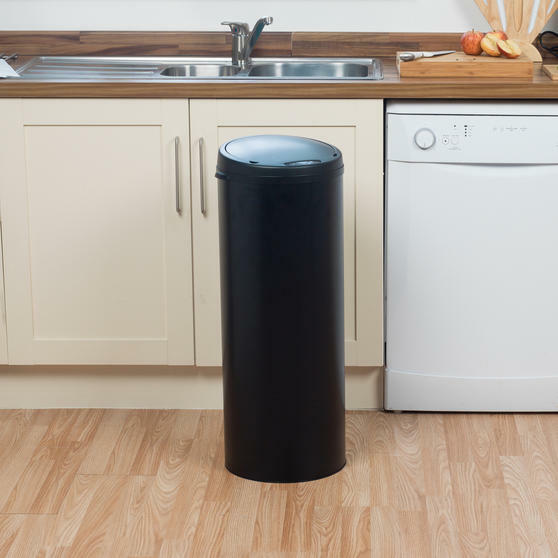 Battery powered with a sleek black exterior, it looks great in any kitchen and it could not be easier to use, simply hover a hand over the LED sensor and the lid will open and close itself. 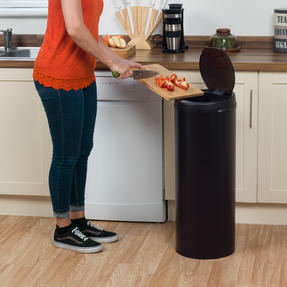 Keep your kitchen clean with this Russell Hobbs bin which has an LED sensor allowing it to open and close without being touched. 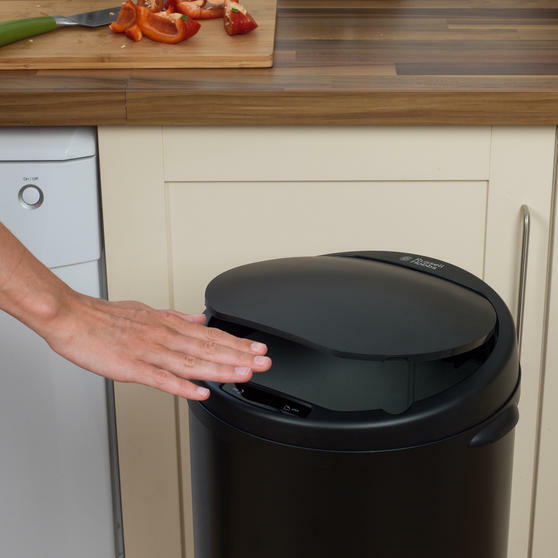 Battery powered, the LED sensor will be triggered by a hand hovering over the light so you can easily dispose of your rubbish. 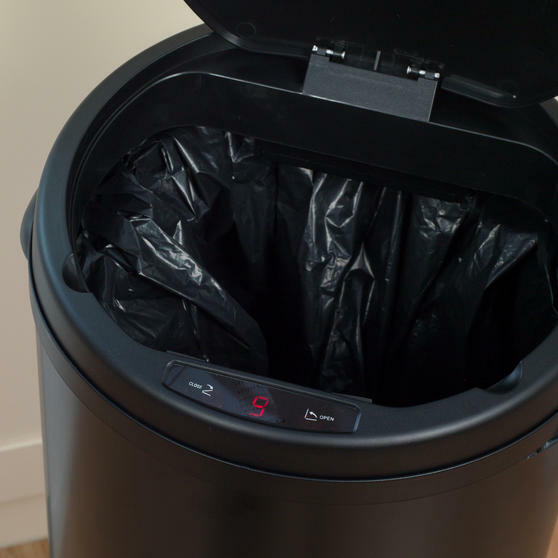 Incredibly easy to use, the bin displays a convenient countdown after it is opened showing when it will automatically close. Featuring a round shaped design and a 50 litre capacity, the lid is easy to remove so bags can be emptied and replaced effortlessly. 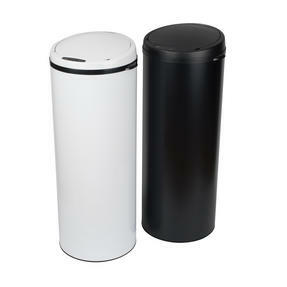 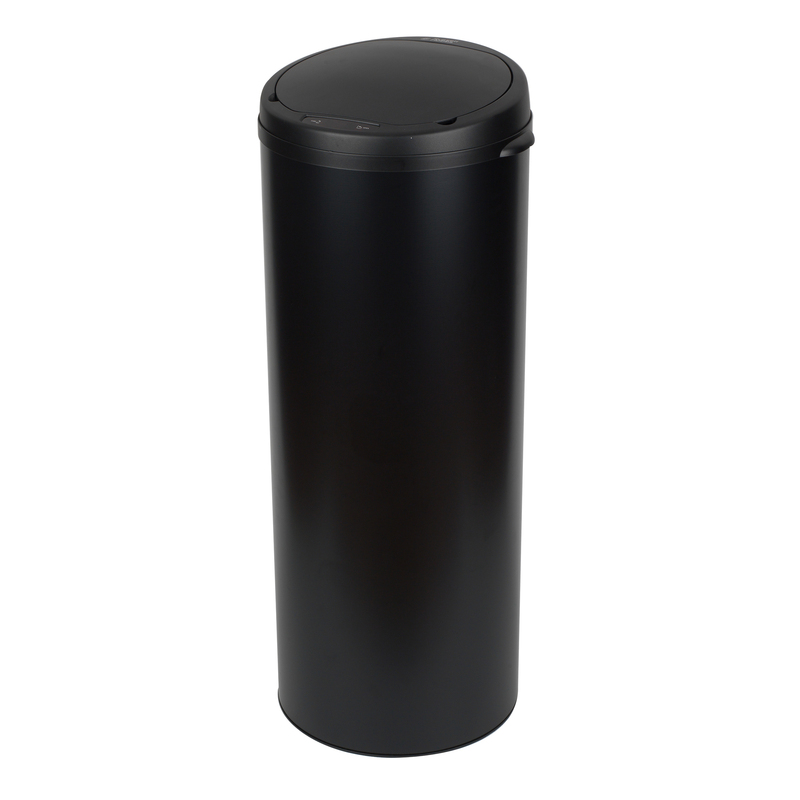 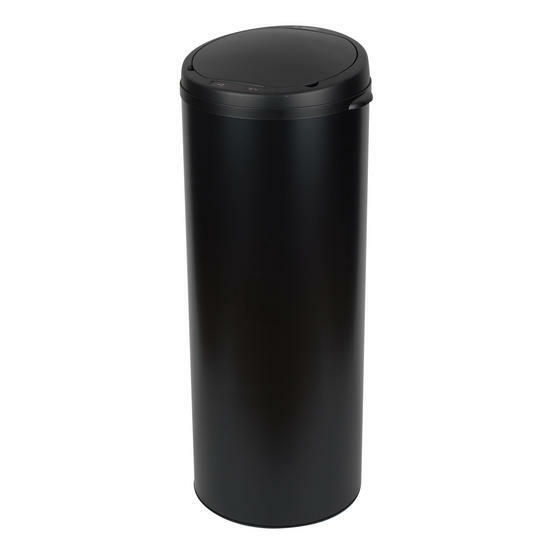 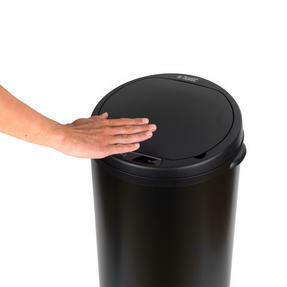 With a modern black exterior which looks great in the corner of any kitchen, this bin combines practicality and style perfectly.